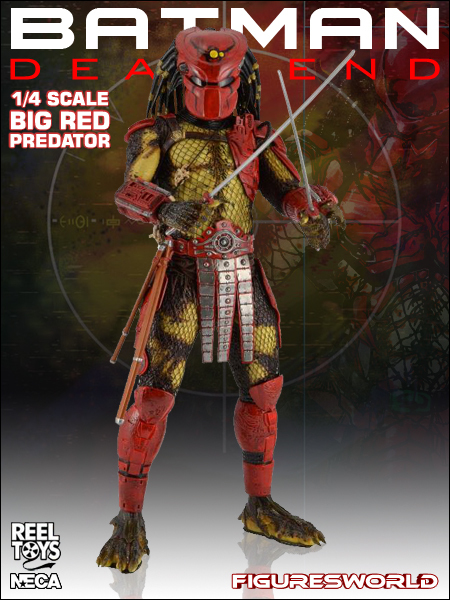 One of the most popular 8-inch Predator figures released in 2012 was the Series 7 Big Red from the classic fan film, Dead End. 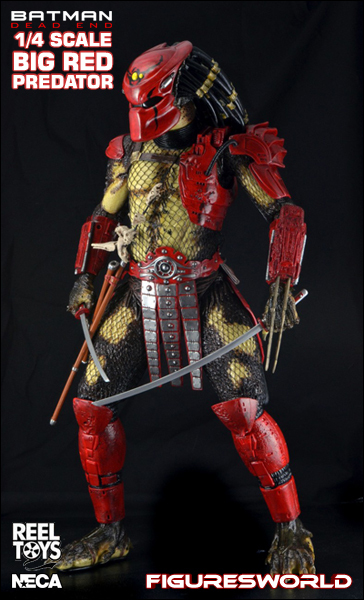 This Summer marks the 10th Anniversary of that fan made movie milestone and we’re celebrating with a 19 inches tall 1/4 scale version of Big Red. 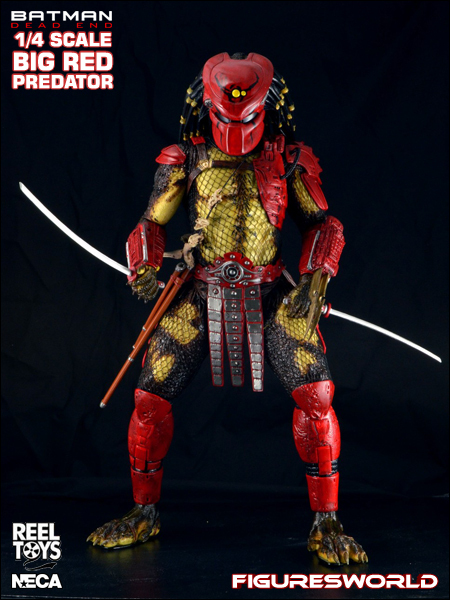 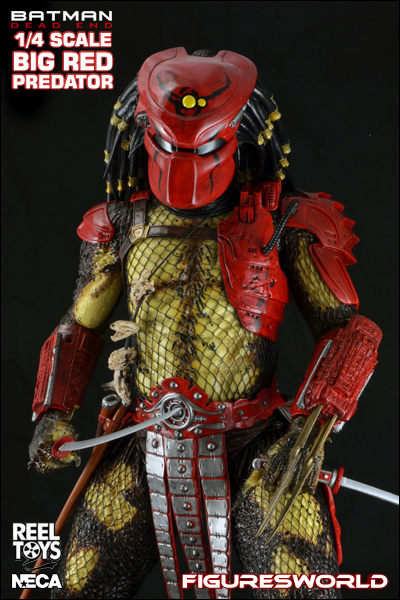 Adorned by his unique red helmet, red armor, golden wrist blades, and samurai swords the Big Red Predator is an impressive sight to behold. 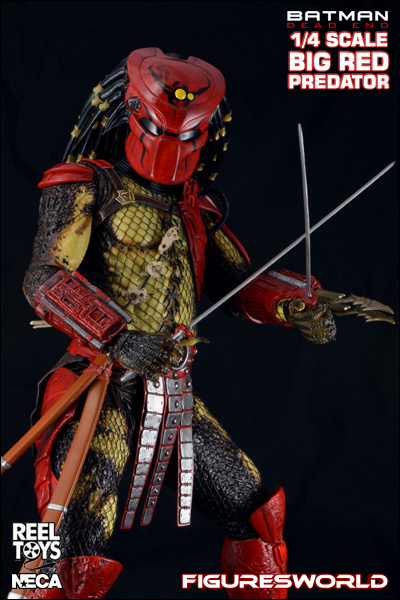 Includes 2 pairs of hands and 2 swords with sheaths with incredible detail and decoration along with separate fabric body netting.